No. 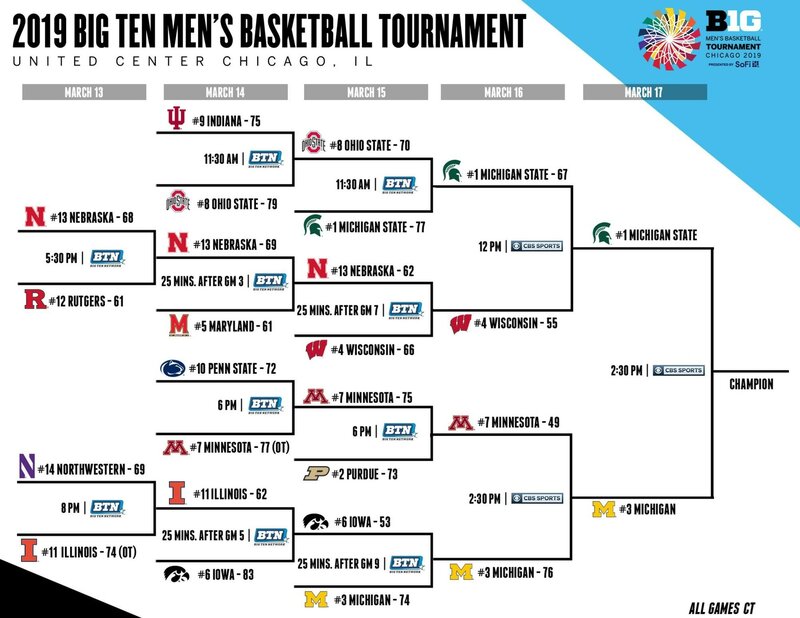 1 seed Michigan State defeated No. 3 seed Michigan 65-60 for the 2019 Big Ten Tournament title and an NCAA tournament auto bid. Here is your final bracket, scores, schedule, and seeds. Tap or click here for a live Big Ten scoreboard. 2017 Michigan 71-56 Wisconsin Washington, D.C.